1. Caffeine: What weight loss product would be complete without caffeine? It gives you a boost of much needed energy, it’s cheap, and it has established—but mild—weight loss effects (see Am J Clin Nutr. 1989 Jan;49(1):44-50, Am J Clin Nutr. 1980 May;33(5):989-97). No surprise to find this here. 2. Cissus quadrangularis: Also known as “Veld Grape”, Cissus is a medicinal plant native to Africa, India, and other parts of Asia. It has traditionally been used to treat a variety of ailments such as bone fractures, ulcers, wounds, indigestion and asthma. Secondly, it’s impossible to determine whether this product contains an effective dose of Cissus. Certainly it’s possible, but given the ambiguity of the label, we can’t confirm this one way or the other. So there you have it; the Pounds Lost Weight Loss Shot in a nutshell. And, as you might have guessed, we can’t really recommend this product. It’s not so much about the issue with the Cissus studies as with the product’s cost; we found a 6-pack on sale at GNC for $14.99. A 30-day supply will set you back $75. And a 10-week supply will drain over $180 from your purse or wallet. Sorry, but it’s just not worth it. Especially when you can buy 150 800 mg capsules of premium Cissus extract for under $30 (a 2-month’s supply), and a bottle of caffeine for less than $5. That would be a more sensible and cost effective way to experiment with the Cissus / caffeine combination, if you really felt you had to. Not that we think you do, of course. Simple formula available from a wide range of chain drug stores and online retailers. Some clinical support for main ingredients. Independent clinical support for Cissus ingredient lacking. Main ingredients readily available elsewhere for less money. I have been on the Pounds Lost shot for about 3wks straight. I have no weight loss to report! I am also “very not happy” with the company because they are happy to debit my account, at this point, several times per mo and no results to me personally. It was my understanding that my acct would be debited once per month!! “A VERY NOT SATISFIED CONSUMER!! Bought the product at WalMart – headaches, dizziness, can’t see my computer screen clearly to do my work without it looking like it is in a foggy daze. Don’t dare take it tomorrow or long enough to see if it helps with weight loss. Wal-Mart has it for $9.88 for six bottles. I just started taking Pounds Lost a week ago and found it to be a good food suppressent along with a high energy product. I can’t see any weight lost yet, but I’ll give it one more week for sure. Then its off to another weight-loss product. I’ve been to CVS and Rite Aid and guess what? They don’t carry your product! I’m not going to Walmart next! In fact you should send me a lot of FREE samples .In fact what you’re doing is false advertizing ,,,yep that’s what it’s called.Sincerely annoyed. Editor’s comments: Helene, this isn’t “our” product; this is an independent product testimonial feedback site; we do not sell or fulfill any products. I bought this product at CVS, and then went to Wal-Mart. I have been using it in the middle of the afternoon. So far, so good. Energy is good, and i have lost 7 lbs. Only problem was that i went back to Wal-Mart and they were out! I just bought this today and tried it before working out, energy is good food seems to be supressed but maybe because im nt home and food isnt really around me, AND FOR ALL OF YOU OOKING FOR SOME FOR REALLY CHEAP, THE SELL THEM AT THE 99 CENT STORE ! 1 DOLLAR EACH SO I BOUGHT 10! SO PRICE ISNT THE ISSUE FOR ME LIKE FOR EVERYONE ELSE. I was skeptical at first. I did some research on this product, but didn’t find anything positive. I’ve seen allot of complaints about orders over the internet, the company charging more and not canceling orders, and so on. So I bought mine at Wal-Mart in the 6packs. They are only $4. I’ve been taking them for almost two weeks now, one in the morning to keep me awake at work, and another around 3pm to pep me back up to go for a light jog when I get home. Investing in these shots and taking them will make you semi conscious of over eating and splurging. I’ve only done 3-4 light jogs after work a week. On 4/16/12 is when I started taking them, and I weighed 201lbs, today 4/27/12 I weighed in at 188.5lbs. Thats 1lbs per day. WOW!!! This is the lightest I’ve been in over a year. I’ve been running 3-5 times a week for 16 years, but in the last two years my metabolism has slowed and eating like a horse is catching up with me. So in conclusion, buy this product at a store, take it twice a day, exercise regularly, eat less, and enjoy the new you! I have been using Pounds Lost for 3 weeks now. I have lost 12lbs so far, no joke. I buy the 6pk at Walmart for $9.88. A little pricy but not as bad as others. It is not an “energy drink” per say but is an added benefit. It clearly states to use 15 minutes minimum before each main meal. Deviate from that, then ya, it’s probably not going to work the way you think it should. 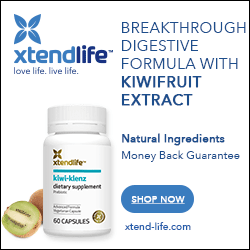 This product works more like Dexatrim, in that it controls your hunger and helps you eat less. I also drink 2 slim fast protein shakes for breakfast and lunch and eat a regular dinner with eating Adkins peanut butter cups for dessert. NOTHING worked for me before but now I can handle eating less during the day and don’t snack so much at night, which was my biggest downfall. Good luck to you. Hope it works. I brought this product last night at Wal-Mart and will be trying it this weekend to see how it works. Will keep you posted on my results. I currently weigh 205 and this is the biggest that I have ever been, nopefully I will have something positive to report. DO NOT!!!! buy this product on there website!!! Go to any 99cent only store and get 1-bottle for 99cent. It is the exact same thing exact same ingredient. Alway shop around before buying any thing on the web. There are also other stores like: Walmart, CVS, or Walgreens that have certain weightloss product. So save your time and money and shop-around first. I have just started taken it, I am going to wait 2 and a half months, which they suggest you do beford judging this, and then I will write a review letting you know if it works for me. is this product still available anywhere? I bought the pills at the 99 cent store on 4/10/15. The expiration date is 2016. On 4/15, I went to a 99 cents store in the South Bay area of California. This time I saw a large shipment of the shots. I compared the ingredients of the shots to the pills and the shorts were a lot more stronger. I took the pills for three days in a row and I like the way I feel…not rushed but calm. I stopped for a few days and I did not feel as energetic or productive but I did not feel “crazy” as if I was going thru a withdrawal. I on some occasions will take a diet pill for energy and when I have gained a few pounds. I am not sure how I would be affected if I took a diet pill every day since I am no where near overweight. I like the energy that some diet pills give plus a few other benefits if taking the pill is not overdone for a smaller person.